Get your accommodation in the renewed three stars house Sevda . For family Roshkovi , it is a tradition to welcome guests for over 18 years now. 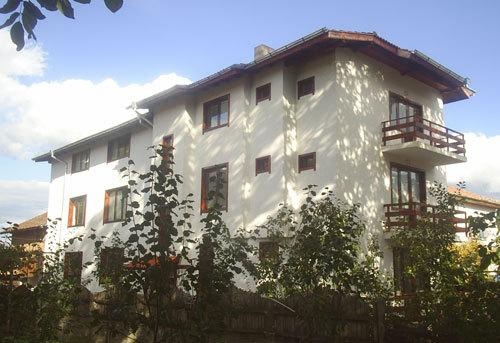 House Sevda has 10 rooms (20 beds), restaurant, outdoor parking for 7 cars, summer garden with barbecue and mini-spa center with Jacuzzi (4-local) and steam room (8 -- local). The rooms have modern bathrooms, Spanish terracotta, TV, cable TV, local heating and others. House Sevda offers mercedes van with 8 seats for transporting of the guest from the bus station in Bansko or transfers to the cabin lift. Transportation from the bus station is free, transfer prices are negotiated further. House Sevda has a tavern - offers breakfast and in the remaining time is available to the guests. So you can really feel at home.